The 2010 Tax cuts to the top 10 per cent of income earners (a reduction from 38 to 33 cents in the dollar) cost us about $700 million-$800 million per year. It looks like the total net cost for tax cuts is about $2 billion. 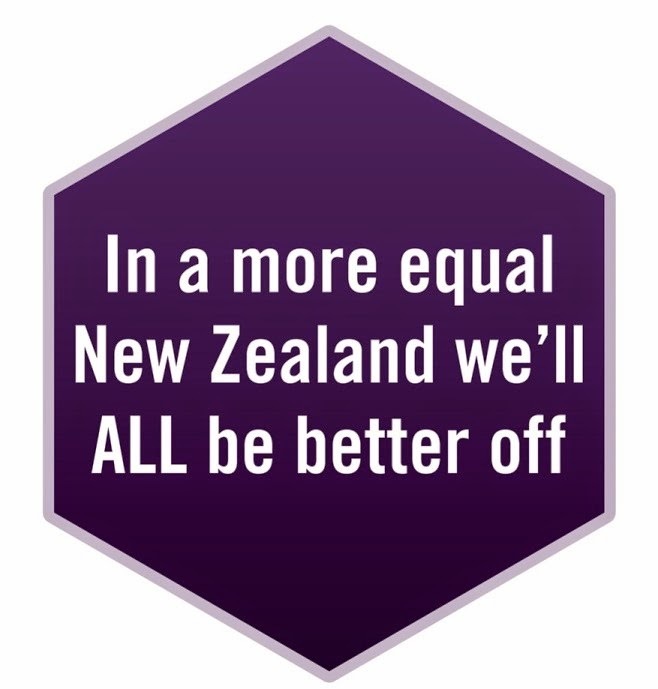 In the 2011 budget, Government was worried about our debt levels, so they made cuts to KiwiSaver, Working for Families, ACC, tertiary education, and to public services. Budget 2012 is this Thursday. Government has made some pre-budget announcements including that it will be a zero budget (i.e. don’t expect any extra dollars for anything), because otherwise we will end up “like Greece”. In case anyone hasn’t noticed, Greece is very badly in debt and has relied on aid to pay its loans. Future spending increases will be limited to growth in population and growth in inflation (with a few provisos), which means changing the Public Finance Act 1989. This new principle of responsible fiscal management is set out in the National-ACT Confidence and Supply Agreement. Government is adopting a new investment approach to welfare. The idea is to get in early and stop people becoming long term welfare recipients. There is $287.5 million over the next four years for encouraging people into work (the first phase). Of this, $81.5 million (28%) is additional funding, and the rest (72%) is reprioritised funding from within Social Development. Some do not think the investment approach is such a good idea. First up are youth services. Legislation was introduced in March and changes come into effect in July for 16 and 17 year old beneficiaries, and 16/17/18 year old young parents. From July 2012, a youth service provider attached to each young person will oversee their money management. Young people will have obligations to be in education, training or work-based learning. A 16 or 17 year old receiving the Youth Payment could earn up to $20 a week extra by (1) completing a budgeting programme and (2) remaining committed to education or training for at least six months. Young parents will have to enrol their child with a primary healthcare provider and complete Well-Child/Tamariki Ora checks. Someone on a Young Parent Payment could earn an extra $10 a week by completing a parenting programme (that’s $30 if they do a budgeting programme and stay in education). Sanctions apply if the obligations are not met. There is a Guaranteed Childcare Assistance Payment for children under five of $6.00 / hour for up to 50 hours per week for up to 52 weeks per year to for child to attend approved ECE – a service which is also available to “disengaged 16 and 17 year olds leaving school early.” This support is also available to 16 and 17 year olds, and 18 year olds with children, who are the spouse or partner of an older beneficiary. Next on the list are rules around DPBs, Widows and Women Alone benefits. Changes affecting them will be implemented from October. Sole parents will be expected to be available and looking for part-time work when their youngest child turns five. There will be a full-time work expectation once their youngest child is 14 years old, rather than 18. Sole parents who have more children while on a benefit will have a year before work expectations resume. Beneficiaries will prepare for interviews, CVs and job applications and get job-related training. They will also be engaged people in work preparation activities well before their youngest turns five or fourteen. If a job is not available, the financial support will continue. All women on a benefit and female dependents of beneficiaries aged 16-19 get financial assistance to use long acting reversible contraception. • $80 million over four years for Early Childhood Education childcare and a Guaranteed Childcare Assistance Payment (for young parents). • $55.1 million over four years for 155 dedicated Work and Income staff to support Jobseekers and sole parents into work. • $148.8 million over four years for youth services including wrap-around support (including $134.7 million for Youth Service providers). The second phase arrives in Budget 2013, and the whole welfare package will cost at least $520 million and is designed to save $1 billion over four years. • A new Supported Living Payment to replace the Invalid’s Benefit and DPB care of sick and infirm. To make sure Work and Income get the welfare changes right, a new board costing $1.1 million will oversee the new investment approach to welfare. The board is to (1) Advise and support the Chief Executive of the Ministry of Social Development in the implementation of welfare reforms, and (2) Report to the Minister for Social Development, the Minister of Finance and the Minister of State Services on Work and Income’s performance (we’re not sure how well that goes with the support bit). (We also wonder how much the board members are getting paid, given this is a cost of $183,333 per member (c.f. a sole parent base rate $293.58 (after tax) or $61,064 over 4 years)). • Paula Rebstock (Chair)- Chair of the Welfare Working Group, Deputy Chair New Zealand Railways Corporation, Chair Insurance and Savings Ombudsman Commission, member of the Accident Compensation Corporation Board. • Ian McPherson( CEO Southern Cross Healthcare Group). • Kathryn McPherson (was a member of the Welfare Working Group; Professor of Rehabilitation) at the Auckland University of Technology). • Andrew Body (Crown Fibre Holdings Board). • Reg Barrett (Wellington based company director and business consultant). • Debbie Packer (Ngāti Ruanui, Ngā Rauru, South Taranaki based company director and business consultant). Each year an actuarial valuation will look at what the benefit system is expected to cost long term, taking into account how long clients are likely to remain on benefits and wider economic and demographic trends. This will inform the Board and Work and Income on where costs in the welfare system are coming from, along with ‘priority areas and groups for investment to reduce long term benefit dependency’. This board to oversee Work and Income's welfare work is a little curious, given the Ministry of Social Development which incoporates Work and Income includes its own evaluation section . At the time of writing, they were even advertising for a "Principal Analyst who can provide intellectual leadership within the Centre for Social Research and Evaluation (CSRE), particularly modelling the impact of changes in policy and service delivery on the benefit system" (MSD job advertisiemnt closing 21 May). Are we getting duplication here? What else do we know about what is in the budget? The savings with the prescriptions goes towards 4,000 extra elective operations, $16.0 million in IT systems to facilitate faster access to expensive diagnostic tests, e.g. MRIs, CT scans, and colonoscopies; and $4.0 million for a national register of those of us with heart conditions. There will also be an extra $33 million over the next four years for better and faster services if we have cancer, including funding for dedicated nurses to coordinate our individual care and support. In the ‘this does not add up’ department (see Gordon Campbell’s column), poor people get to struggle with prescription costs, but Government is adding to$12 million to target 35,000 5-15 year olds at risk of rheumatic fever in seven regions. The extra money means a $24 million five-year package. “Porirua City has the highest rate of rheumatic fever among five to 15 year olds”, and “Māori and Pacific people – mostly children – living in cold over-crowded homes are most likely to get it.” Throat-swabbing programmes with antibiotic follow up will be in Northland, South Auckland, Bay of Plenty, Lakes, Tairawhiti, Hawke's Bay and Porirua schools." - $132.7 million in new investment and $11.0 million in savings (not quite sure from where). - $54.7 million over the next four years for more home and community support services, e.g. showering, getting dressed, preparing a meal, and house work, so people do not need residential care [we hope people will get sufficient support]. - $1.3 million one-off funding for additional cochlear implants and follow-up services for adults and children in 2012/13. - $20.7 million over the next four years for more help with supports e.g. hearing aids, hoists and wheelchair access. - $57.6 million over the next four years for the increasing numbers of people with disabilities using residential support services. Concern about the low pay of those working in this and other similar areas, e.g.“these workers are almost all women and their low wages reflect the pay gap between men and women” – PSA. In the background here is: Ryman Healthcare making record profits - "Investors also get a 17 per cent increase in the dividend to 8.4 cents a share … [and]have also seen the share price increase over 30 per cent from a year ago to $3.40 today." Also in the backgrond, is the Human Rights Commission support for the Court of Appeal’s decision in favour of the parents providing special care for disabled adult children being paid for their work, despite Ministry of Health opposition. The Ministry concerns include the potential costs, the ability to monitor the quality of care and the potential consequences of family members reliant on payment as income. Government does not want paying parents to set difficult precedents. - An extra $60 million over the next four years to boost new teacher recruitment and training. - $304 million on professional learning and development for teachers in primary and secondary education over the next four years. - A post-graduate qualification introduced as a minimum for all trainee teachers. - Introduction of a new pre-principalship qualification. - Teacher-pupil ratios which have varied between 1:23 to 1:29 for years 2 -10.will now all be 1:27.5. which will “free up just over $43 million, on average, in each year over the next four years." The ratio for students sitting NCEA at years 11, 12 and 13 would be standardised at one to 17.3, instead of the existing range of between one to 17 and one to 23. Not surprisingly, the ratios are a little controversial. The loan repayment rate is being increased by 2c in the dollar from 10c to 12c for each dollar of income above $19,084 per annum. Also the voluntary repayment bonus is going. All of the above will save around $12 million a year. Then government is worried about how much is going on student allowances, so it is likely “to freeze the parental income threshold for the next four years at its current rate, and ensure the current limit of 200 weeks access to student allowances is consistently applied, and towards the early years of study.” This means removing access for masters and PhD students and for long courses beyond the first 200 weeks of study (but these people can still borrow through student loans). The plan: to contribute to a 25 per cent reduction in reoffending by 2017, and have18,500 fewer victims of crime every year from 2017. - 33,100 additional offenders receiving new and expanded drug and alcohol treatment in prisons and in the community (an increase of almost 500 per cent). - 7,855 additional prisoners and community offenders receiving new and expanded rehabilitation services (a 230 per cent increase). - 2,950 additional prisoners in education and employment training (a 30 per cent increase). - 7,500 prisoners and community offenders to be supported to find real jobs, in new partnerships with employers and industry. - 4,120 prisoners and community offenders in new rehabilitation services delivered in partnership with iwi and community groups. - 6,000 prisoners and community based offenders accessing new reintegration support programmes from iwi and community groups. The rationale: two thirds of prisoners have addiction problems, and up to 90 per cent can’t read or write well. Cantabrians are sick of waiting for decisions on houses, paying high rent, and living in all sorts of temporary arrangements. We ring up Cera; we ring up the insurance company; we share info with the neighbours. We would love to get the house back together again, but we wait. We are on first name terms with our insurance company case manager. She is very nice and we’re really starting to get to know each other, but she is waiting for Cera to come and reassess the land. The Cera bloke is very nice too. We get told we are on the list, just after New Brighton. We know they have a lot of work to do in New Brighton. Anyway, on it goes, and we worry about a deteriorating house. Government tells us they have spent $2.45 billion of the $5.5 billion Canterbury Earthquake Recovery Fund by 30 June this year “on important rebuild and recovery initiatives in the wider region”. They “forecast to spend another $2.17 billion from the Fund in the coming financial year as the repair and replacement of damaged horizontal infrastructure – drinking water, waste water, storm water, and roading – ramps up and [they] build new infrastructure to support the growth of greater Christchurch.” Good – although we had developed a funny sort of affection for our A+ grade potaloo. Maybe sometime we’ll get to fix the house. Cigarettes are bound to increase in price.